THIS ''GEM'' IS PRICED TO SELL! 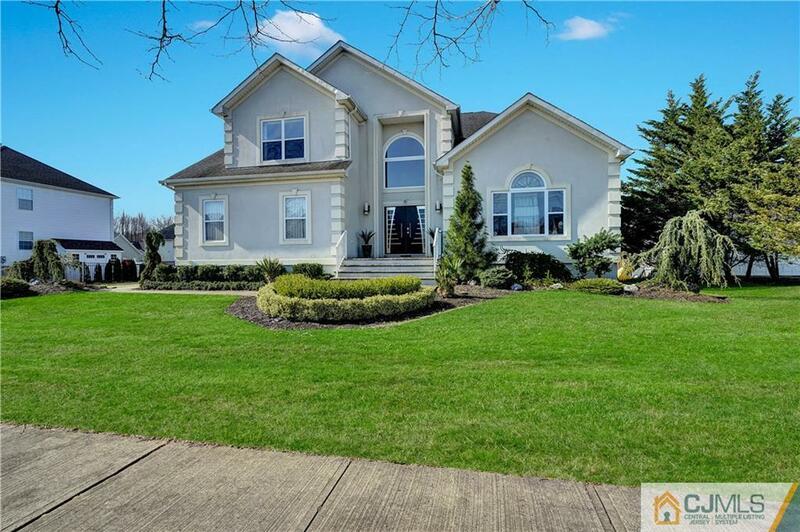 * WELCOME TO THIS STUNNING GRAND 2-STORY CENTER HALL COLONIAL W/LGE PALLADIUM WINDOW, 4 BED, 2.5 BATH * CUSTOM BRAZILIAN TILE RUNS THRU TO MODERN KITCHEN (PWDR RM) W/ GRANITE CTRS, ALL SS APPLIANCES & ADDTL WET BAR SINK * VAULTED LIVING RM W/SKYLIGHTS & CUSTOM REMOTE GAS FIREPLACE *, FAMILY RM W/CUSTOM WOOD BURNING FIREPLACE * 9 FT CEILINGS 1ST FL * WOOD FLRS * REC LIGHTING THRUOUT 1/2ND FLS *LARGE WINDOWS THRUOUT * UPGRADES INCL $50k FOR PREMIUM WATERVIEW LOT & $25k FOR W/OUT BSMT * PAVED DRIVEWAY PLUS SO MUCH MORE! * COMMUNITY OFFERS POOL (option to join/yr via HOA) * CLUBHOUSE W/GYM, PLAYGROUND/PARK, BB & TENNIS CTS * NYC BUS STOP AT CORNER * CENTRALLY LOCATED TO NYC, ATLANTIC CITY, PHILLY & JERSEY SHORE BEACHES!